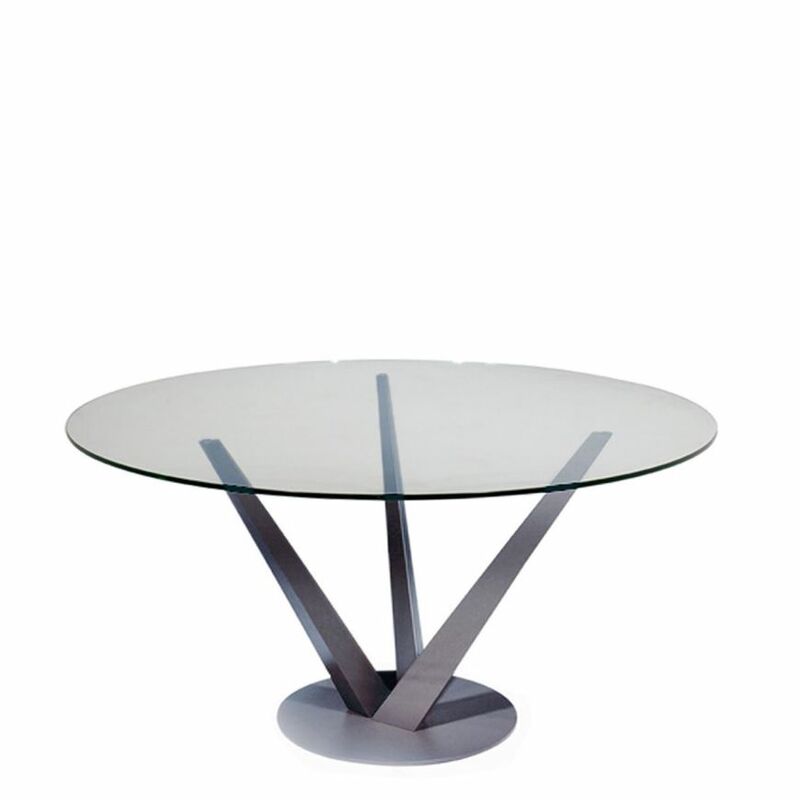 The TRIDENT Dining Table is appropriately named due to the three solid metal arms that support the glass top. This clean and contemporary design provides an aesthetic look and support. We stock the table in two sizes 130cm and 150cm.